Real Madrid enjoyed a good regular season. It displayed huge scoring exhibitions - 115 points against Dinamo Banco di Sardegna Sassari, 112 against Nizhny Novgorod, set a Euroleague record in assists with 33 – twice!, and despite a couple of losses - including a rare home one against Unics Kazan after 21 consecutive wins in front of its fans, Madrid placed first in its regular season group. Madrid ranked second in scoring (87.3 ppg. ), assists (22 apg.) and blocks (4 rpg.). And its assist-to-turnover ratio (2.09 assists per turnover) is the best in the competition. MARK YOUR CALENDAR: It is the most repeated game in European competitions, which allowed Real Madrid and Maccabi Electra Tel Aviv to build a great sporting rivalry based on mutual respect and admiration. 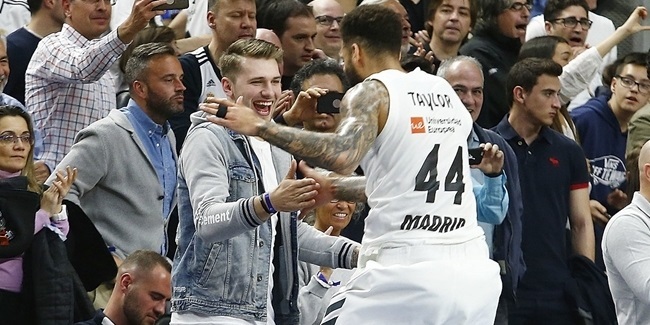 Not only will it be the two teams' 51st showdown, but Madrid will face Maccabi for the first time since last season's Turkish Airlines Euroleague Championship Game. Maccabi downed Madrid 86-98 in overtime in Milan, breaking a six-game losing streak against Los Blancos. 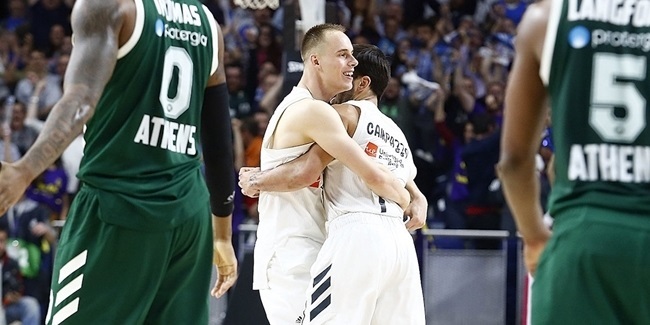 So keep an eye on this game in Top 16 Round 5, as Madrid will face an extraordinary basketball atmosphere at Nokia Arena. GOING FORWARD: Madrid was undefeated in last year's regular season and many experts feel that the team's performance peaked too early in the season. With so many new and experienced players with previous Euroleague experience, including Andres Nocioni, Jonas Maciulis, K.C. Rivers, Madrid knows there is a lot of room for improvement and hopes to reach its best level of play when it matters most, in the final stages of the competition. 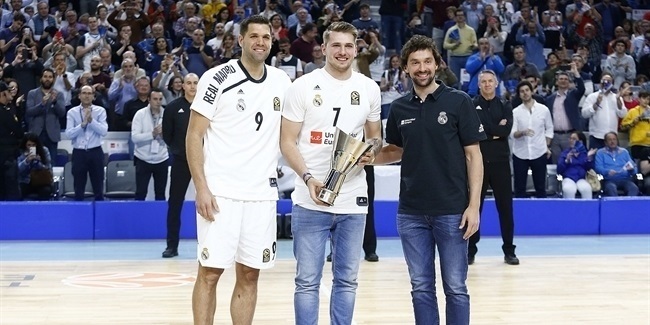 The fact that the 2015 Final Four will be in Madrid adds extra pressure, but also extra motivation for a team with no Euroleague champions on its roster.